Matthew Haag (NaDeSHoT) was born August 3, 1992 in California, America. He is a competitive Call of Duty professional. He is the co-owner and captain of the OpTic Gaming Team (Professional Call of duty team) in the 2014-2015 Call of Duty: Advanced Warfare season, playing the objective support role. Matt Haag is a Call of Duty XP world champion and MLG X Games gold mealiest, he was also voted Best e-sports player of the year of 2014. He is a Red bull eSports athlete. He broadcast his live streams on MLG.TV a network streaming website. Nadeshot is sponsored by several gaming hardware companies like Astro Gaming and Scuf Gaming. He lives in Schaumburg, Illinois in the OpTic gaming team house, along with his team mates, Scumpii, Formal and Crimsix. 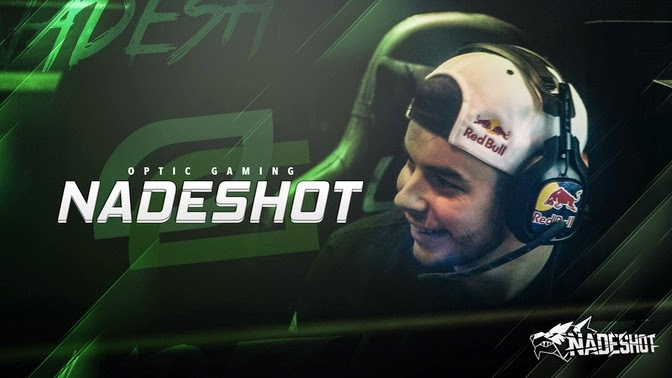 NaDeSHoT started competitive Call of Duty in Call of Duty4: Modern Warfare with team Genesis. NaDeSHoT had his first top 8 placement at MLG National Championship 2009 during Call of Duty 4: Modern Warfare. When NaDeSHoT joined OpTic Nation for a very small time of the Call of Duty: Black Ops 2 season and then moved on To OpTic Gaming OpTic for the rest of the black ops 2 season as well as the Call of Duty: Ghosts season. He has won two event so far for Call of Duty: Advance Warfare season with Optic Gaming.